We’re celebrating 10 years of making a difference at Breath of Life and the Restore Trust. 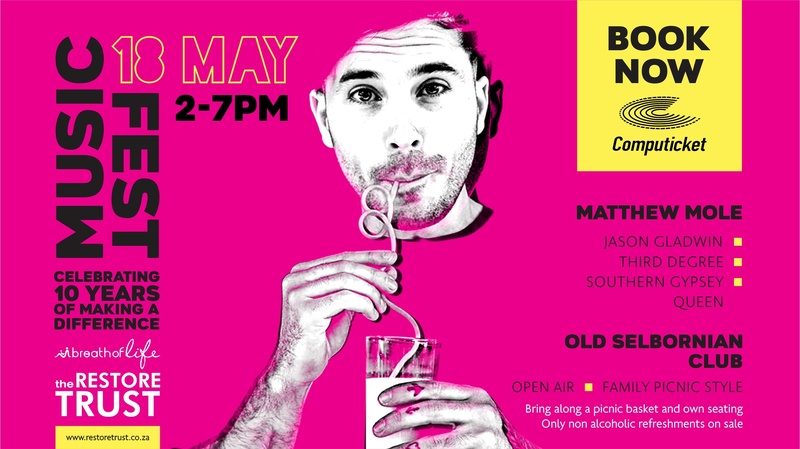 Bring your whole family to enjoy an open-air festival with renown artists, Matthew Mole, Jason Gladwin, Third Degree and Southern Gypsey Queen. Don’t forget a picnic basket and own seating. No alcohol, only refreshments will be only. * Ticket sales close on 18 May at 12h00 noon.